The biggest concern for South Africans currently is the state of the drought and the lack of rain that is leaving cities and towns in the midst of a water crisis. Water restrictions are becoming part of everyday life, although some areas are fortunate to have been spared this discomfort, so far. However dire the situation looks currently, scientists predict that by the year 2025 the demand for water in at least eighteen countries will be greater than the supply. To prevent this bleak future from becoming a reality, we need to make an impact today by simply thinking smarter in and around the home. A rainwater harvesting system is a method where rainwater is collected from a catchment area and redirected to a storage tank which allows you to reuse water elsewhere. It is the most effective way households and businesses can adopt to reduce the pressure on the mainline water supply. Widespread use of harvested rainwater will give the water in our rapidly declining dams a chance to replenish. 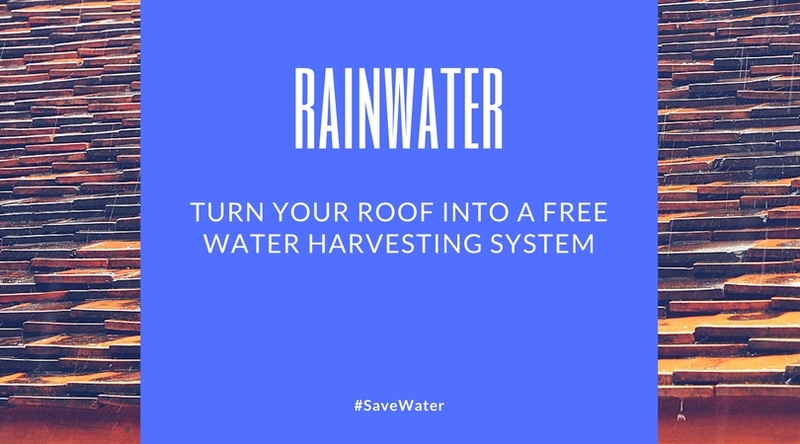 What can you use harvested rainwater for? Collected rainwater can be used for domestic purposes, irrigation or elsewhere in and around the home. This includes flushing toilets, washing cars or watering your garden. With the addition of filters, the captured rainwater and be used as a potable water source. It all starts with a catchment area. The most common catchment area is the roof of your home. When it rains water runs into your gutter and then flows into a filtration system. From there it is redirected to a storage area and once contained it can be redirected for household use. Filtration systems are optional and depend on your requirements. Rainwater harvesting is a low maintenance exercise, ensure that your catchment areas, like your roof, are cleaned at least twice a year, and gravity does the rest when it rains. Rainwater harvesting systems are affordable to maintain and easy to install – a true benefit to every home! Not only does it help you save money, but it provides you a little freedom to use water in and around your home where you need it the most.